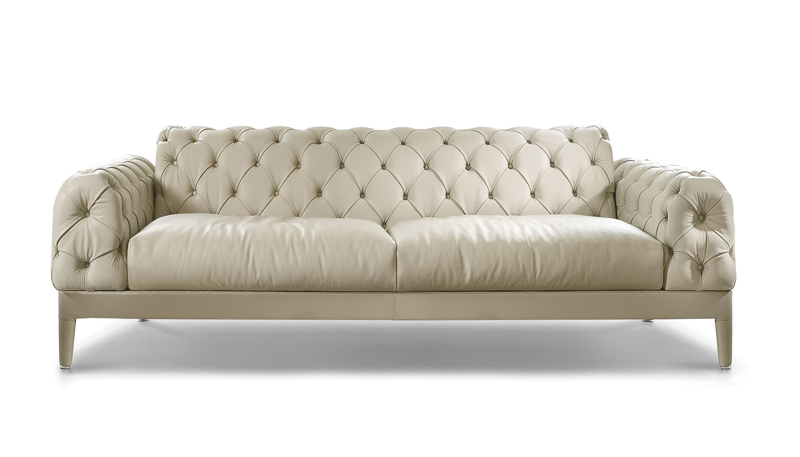 Unique personality and character sought for Elliot, the cozy sofa made with precious capitonnè padding. Protagonist both in the modern home and in the classical one. Elliot is distinguished by the original curved and sinuous volumes of the back and the armrests. The collection is available in versions with a padded base or with a base in difrasino wood.